It's possible to find mushrooms all year round - however, similar to plants - different species prefer different climates, conditions and habitats. The greatest variety can be found during the autumn when the air is cooler, the ground much damper and the sun doesn't rise very high. These conditions mean that the forests are much darker which makes for a perfect habitat. With that being said, you can also find them out in the open on fields, if it's a certain type of mushroom you have in mind and want to capture it then grab a book (Collins Gem do really good pocket sized books and are very inexpensive) or search the internet on its favoured conditions and seasons. Research will save you a whole lot of time looking for specific mushrooms out in nature, the last thing you want is to spend hours looking for a specific mushroom only to be in the completely wrong environment! Slowing down your pace when out and about looking for mushrooms is another tip I recommend. Mushrooms can grow in some very strange places and you'd be surprised how many you will just walk past. Sometimes a small area can yield a great number of fungi that you'd never be aware of unless you were really looking. Remember, some mushrooms are as big as 50cm or a small as a 2mm. So slow down, stand still and let your eyes wonder. You will soon be spotting lots of different things you may have once missed and you'll be enjoying nature in the process. This term is often used in the macro world. Here's a brief description of what it is. When you're creating macro images you tend to notice the smallest of distractions on and around the subject you’re trying to photograph. For mushrooms this will normally be dirt, leaves, twigs, grass and other natural "stuff" which can all be a big distraction to your image. So what to do? A little cleaning up of your composition can greatly improve the final result and really isolate your subject but remember to be respectful to nature and try to make as little a disturbance and possible. Most of the places that you come across mushrooms have poor lighting with dull shades, and areas which normally require the photographer to drag the shutter speed or shooting with longer exposures. Sometimes resting your camera flat on the ground can help if the subject is really small, but that comes with limited angles and a risk to your camera on a wet day. 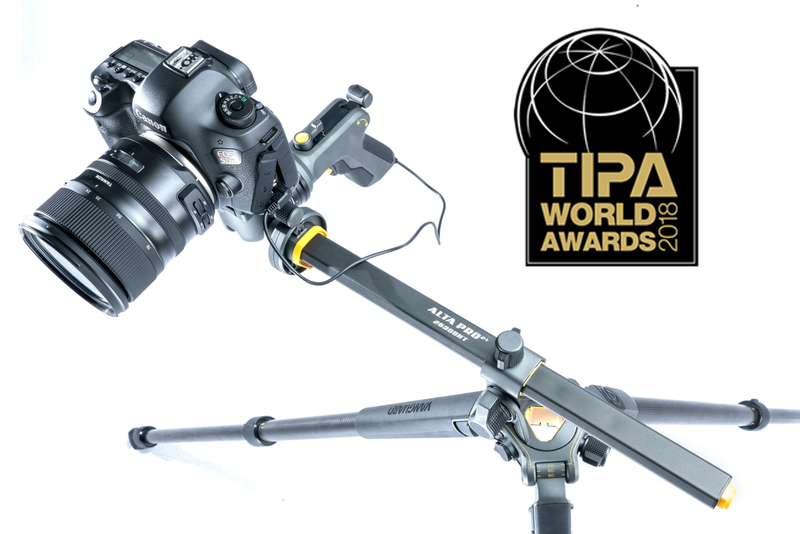 If you haven't already invested in a solid tripod and are looking to do so, then try to find one that has good leg angles and a central column that can get you as low to the ground as possible. I've used the Vanguard Alta Pro 253CT for a few years now and this tripod features a multi-angle central column that moves into almost any position, giving me the possibility of almost unlimited angles. Long gone are the days of needing to mount my camera upside down to get an acceptable angle. In addition to a stable base, to keep your images tack sharp and in focus you can use a wireless remote or a remote cable so you won't need to touch the camera before you take your shot, therefore you've greatly reduced the risk of camera shake. If you don’t have a wireless remote, a simple trick is to just switch your camera onto self-timer. This is all down to your own eye and style, but one tip is to get down low, shoot up and view the mushroom from its level. This will help to make your mushroom appear to have an authority in the image. By showing off its gills, capturing so many different shapes, texture and colours on the underside of mushrooms you will find this approach will create more depth and drama. Remember if you are hand holding your camera for this approach you will most likely be lying flat on your belly, so put on some waterproof clothes or take something to lie on, such as a bin bag or tarp. If you’re using a tripod then chances are you will only end up with wet knees so a gardening pad or plastic bag may be worth adding to your kit. Speedlight I carry one of these that can act as a key light if I need greater control over my image and if I want to soften and diffuse the light I will fix a small softbox to the front of my speedlight. Small led light which I can use as a key light or as a rim or back light in conjunction with my speedlight, it also has about ten different coloured filters that I can clip on the front to add different colours or soften the light. Diffusers can be really helpful if you have harsh direct sunlight on your subject and wish to even out the light you can even use any light source and shine through the diffuser to create nice soft diffused light. Reflectors if you’re having a hard time with shadows or you only have one light source available a reflector can bounce light back at your subject to fill in any shadows that you don't want visible. I can’t give you any magic numbers here because every situation may produce a different problem, and every photographer will want to shoot it in their own style, so just go have some fun and experiment. If you’re shooting in auto, switch it on to manual. This will give you the most freedom and will allow you to get the most from your camera. Also turning your lens to manual focus will give you greater precision. If you have the option of live view you can zoom in on your subject and really nail that focus. So there you have it. Those are some of my top tips to get you shooting mushrooms. It’s important to remember not to get hung up on the latest gear. Ultimately the person's knowledge behind the camera is the greatest asset, just grab your camera, get out, wonder around in nature and most importantly - enjoy yourself. Isn't that why we all started photography! Wild Lens Photography is a #VanguardAmbassador who endeavours to re-connect with the primordial that resides within and without. Follow Hayden on FACEBOOK or INSTAGRAM to see how life is viewed through the wild lens. The post Macro Tips for Photographing Mushrooms - by Wild Lens Photography appeared first on Blog.